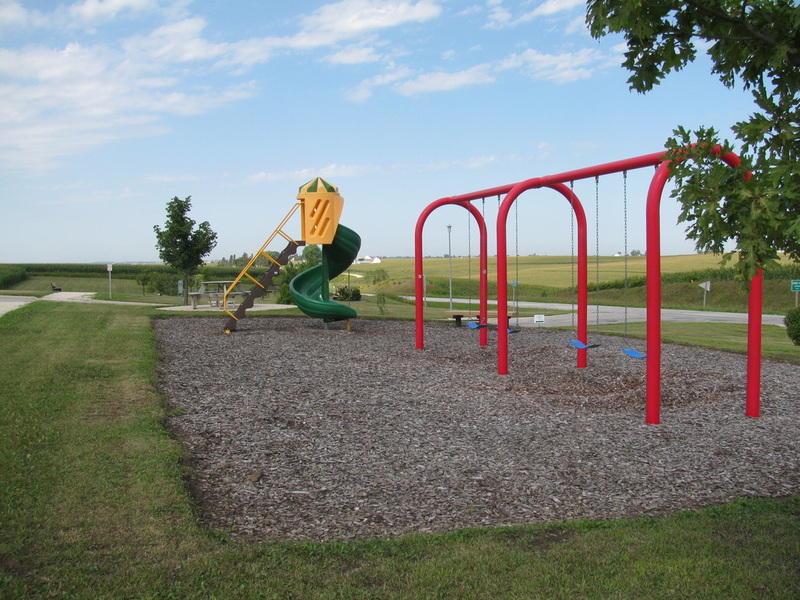 Parks, Playgrounds - Monona Chamber & Economic Development, Inc.
An ADA swing for those who need a little extra support to swing safely on their own or with a caregiver's help. This is a first-time experience for some children. Our goal is to delight all children, no matter what their challenge may be in life. 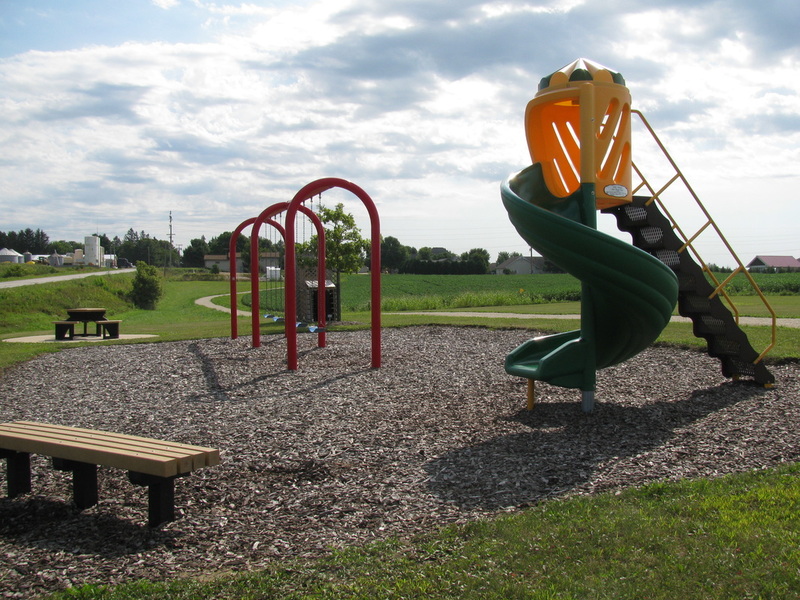 Enjoy Monona's City Park which includes two shelter houses, charcoal grills, picnic tables, playground equipment, basketball court and more. In the winter time the basketball court is transformed into a community ice skating rink. The brand new all-inclusive playground is a 100 percent accessible playground equipment on a rubberized surface, which focuses on maximum play value for "all" children. City Park gives a sensory-rich playground experience that caters to children with physical, cognitive and sensory disabilities. In the near future, the city has planned ADA-compliant upgrades to Monona City Park. This park is always busy with activities like family and class reunions, Monona Fire Department's annual Glow Run activities and other community events, or a friendly old-fashioned game of horseshoes. Monona's Gateway Park includes a Veteran's Memorial which lists servicemen and women from Monona who have served in the armed forces. 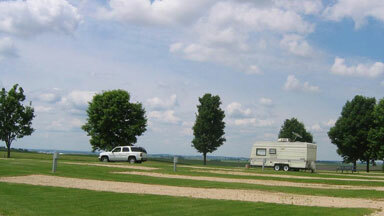 Gateway Park also has a shelter house with picnic tables, charcoal grills, and RV and tent camping spots. Camping Sign-up Forms & Instructions are available from the on-site information drop box. This park also hosts our three-season Farmer's Market each Wednesday from 3 to 6 p.m.
Garden View Park is Monona's newest park and is located in the newly-developed residential Gordon Subdivision. Enjoy new playground equipment and the memorial trees across the street on the west side of the park. 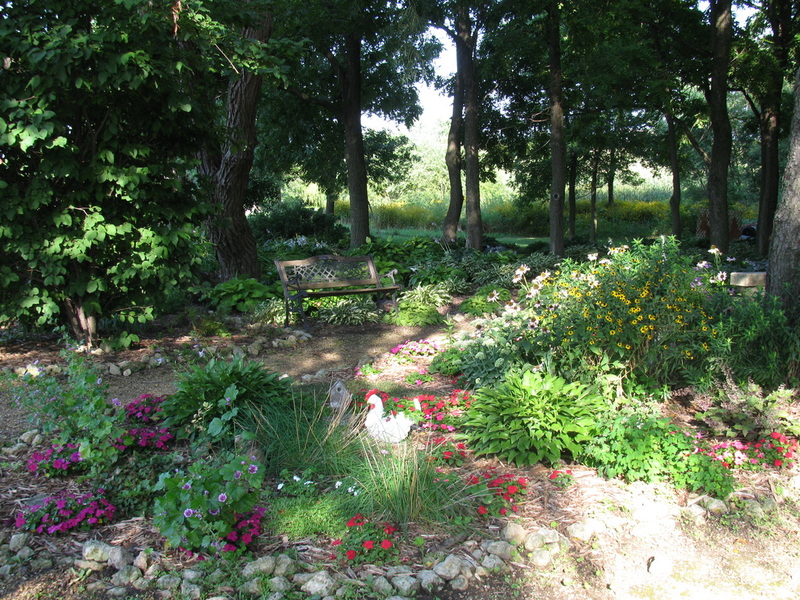 This park's trail connects with the Butterfly Garden Trail, Family Aquatic Center, and Monona Bike Park beside the pool. 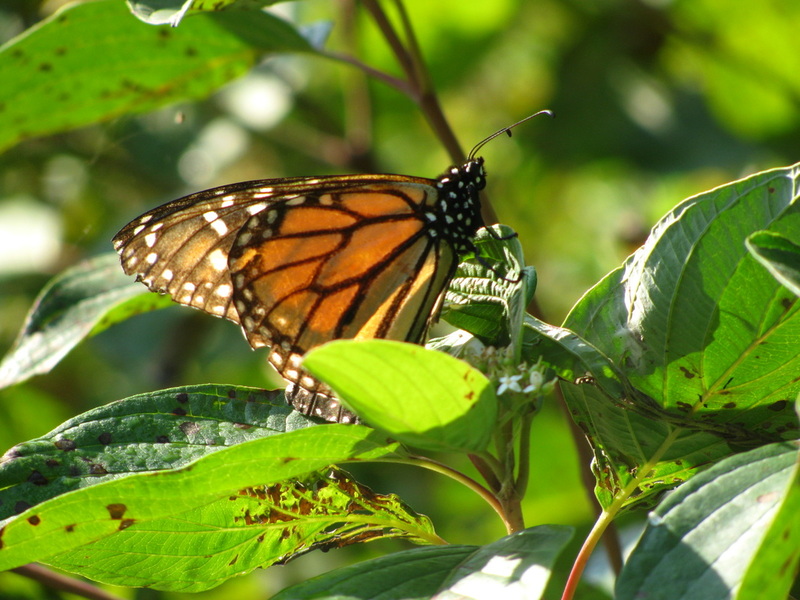 Monona's Butterfly Park is quickly developing into a relaxing place to enjoy some of nature's beautiful sights and sounds. Many volunteers have contributed to the construction and maintenance of the trails, bridges and flower gardens. These trails connect with Garden View Park's trails, and is right across Davis Street from the Family Aquatic Center and the new and nearby Monona Bike Park.